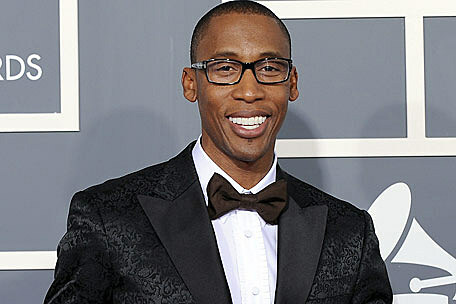 Just call Raphael Saadiq analog man. The Grammy-winning singer/songwriter is finally set to release his throwback project 'Stone Rollin'," an album that mines the spirit, instrumentation and sound of the late '50s and '60s soul music scenes. But while Saadiq's last studio effort, 2008's critically-acclaimed 'The Way I See It,' was a love letter to Motown, Curtis Mayfield and the Impressions-era classics, 'Stone Rollin'' showcases a sharper, aggressive feel and mood. "This album was inspired by great artists like Howlin' Wolf," Saadiq tells The BoomBox of his upcoming set. "Stone Rollin' has a harder, bluesy sound than my last album. I got the chance to work with [legendary bassist for Sly & The Family Stone] Larry Graham. We did a duet together, a hidden track on the new album called 'The Perfect Storm.' I played bass, but I put my bass down [laughs]. The first day I tried to play bass for him, I couldn't even play. I froze three times. He's my all-time idol!" In his usual collaborative fashion, the founding member of the influential R&B band Tony! Toni! Toné!, who throughout his 20 plus-year career has worked with everyone from DJ Quik and Snoop Dogg to D'Angelo to Erykah Badu, has also just logged studio time with the Queen of Hip-Hop Soul. "I just got done working with Mary J. Blige," Saadiq says. "I was in the studio with her for two or three days. We haven't finished yet, but she's always someone I like working with." As for how soon fans will get the chance to experience his new material live onstage, Saadiq says his upcoming trek will kick off in April. "I'm going on tour, doing Coachella and South By Southwest," he adds. "And I'm touring the States and Europe where 'Stone Rollin'" has really jumped off for me. I love what I do. Music is my threshold. It's really where I thrive." 'Stone Rollin'' arrives on March 22.